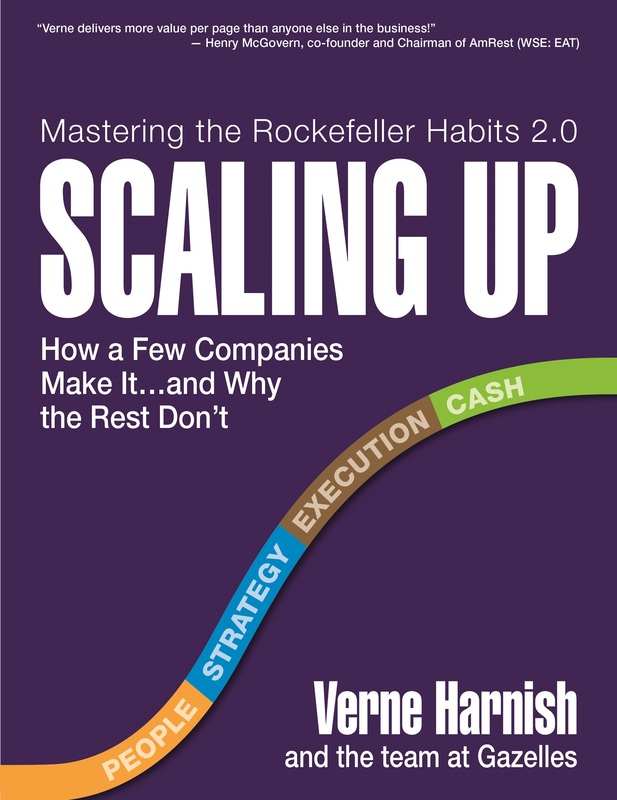 Scaling Up: How to Build a Meaningful Business…and Enjoy the Ride is the first major revision of Verne Harnish’s business classic, Mastering the Rockefeller Habits. Harnish and his co-authors share practical tools and techniques to grow an industry-dominating business and have fun along the way. Many growth company leaders dread adding another customer, employee or location because it feels like they are just adding more weight to an ever-heavier burden. Sometimes, increased revenues haven't turned into more profitability, so they wonder if the journey is worth the effort. Scaling Up focuses on the four major decisions every company must get right: People, Strategy, Execution and Cash. The book includes new tools including the famous One-Page Strategic Plan and the Rockefeller Habits Execution Checklist, which more than 40,000 firms around the globe have used to scale their companies successfully. Scaling Up shows owners how to achieve freedom no matter how big their business grows.